Here I am going to share SEO Pricing packaging models which usually companies offers. Motive is to just educate those business geeks who didn't get too much from their websites. As there are various SEO Companies around the Globe and each of them claim that they offers something different. Its tough to chose the right SEO agency like a finding a right mobile in any mobile store having N number of Brands with N number of functionalities. So "What SEO Pricing Package I have to choose ? What SEO Pricing Quotes I have to consider for my Business? 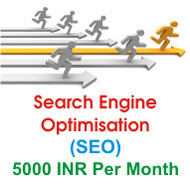 What SEO Company I have to choose ?" How SEO Companies commonly Quote ? What Business commonly Expect ? Let's take a look on "How companies commonly Quote for SEO?" We add Value of Training on all the above model - "That makes us different from Others".